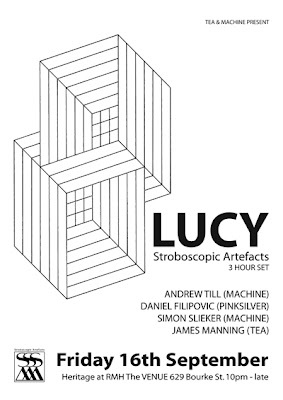 TEA: Lucy Plays TEA Tonight! 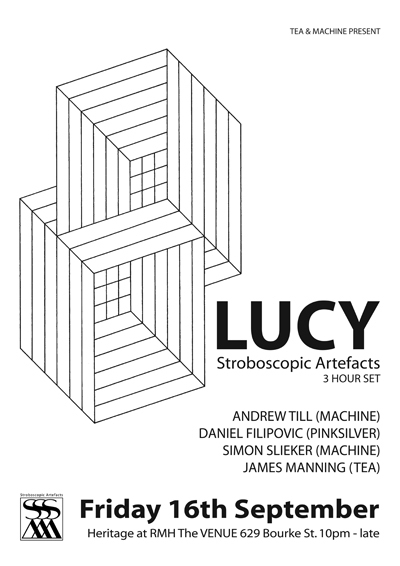 Part 2 our our Stroboscopic adventure starts tonight with Lucy! Online tickets close at 5pm today and will only be available on the door from then on. This tour has been 12 months in the making so I am thrilled to see it finally come to fruition. Hope to see all tonight for a celebration of electronic music!